19 August 1945. Following a Soviet–MPR attack on Kalgan the previous day, the Inner Mongolian independence leader Prince Demchugdongrob and his followers flee the city for Peiping. This signifies the end of his ‘Mongolian Autonomous State’. 19 August 1945. 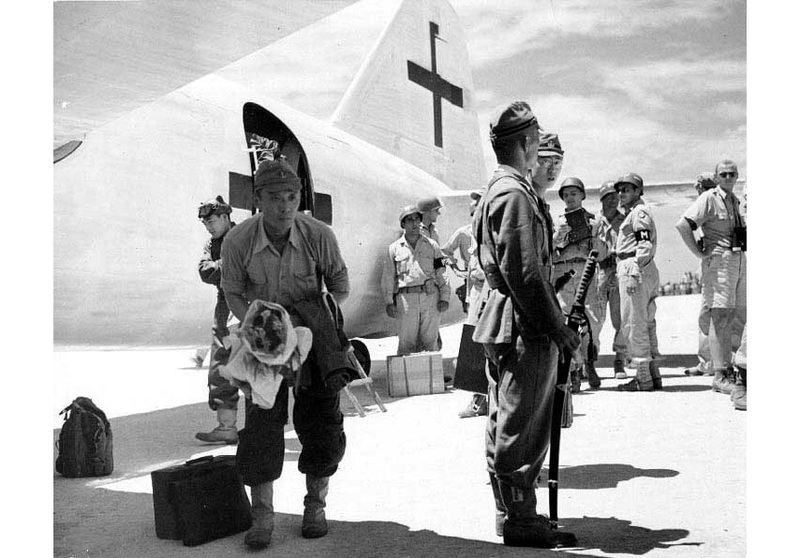 A Japanese delegation arrives in Manila for a meeting with General Douglas MacArthur and U.S. officials to finalize surrender details. While travelling to and from the airport, the Japanese have to be protected from angry Filipinos threatening to attack them. At the same time, the Philippine Army begins demobilizing. Its units are no longer needed to invade Japan. 19 August 1945. U.S. Secretary of State James Byrnes declares in a statement issued in Washington that the U.S. views Thailand ‘not as an enemy but as a country to be liberated from the enemy’. This is in response to Thai Regent Pridi Phanomyong’s August 16 statement declaring Thailand’s declaration of war as unconstitutional. 19 August 1945. The Malay-based movement for immediate independence is derailed when Ibrahim Yaacob and his family leave Malaya for Java. The British return is imminent and Ibraham fears he will be arrested for collaboration with the Japanese. 19 August 1945. Early in the day, tens of thousands of villagers march towards the city to the sound of drums, cymbals and horns. A Viet Minh armed unit moves into the Opera House square to disarm or disperse the few police in the vicinity. The Japanese take no counter-measures. By 11:00 the square and adjacent streets are filled with some 200,000 people. Following a minute of silence for those who have fallen in the independence struggle, brief speeches and mass repetition of patriotic slogans, members of the Hanoi Revolutionary Military Committee give instructions over the microphone for the armed, but hopefully bloodless, seizure of a number of pre-selected installations. Two hundred royal civil guardsmen behind locked gates at the Viceroy’s Palace offer no resistance when youths scale the fence; they dump their rifles and walk away. Tran Tu Binh, the most senior Indochinese Communist Party member present in Hanoi, uses the Viceroy’s switchboard to tell mandarins in the provinces that the Viet Minh has taken over and they must surrender. At the Civil Guard barracks some blocks away, Japanese tanks and troops arrive, negotiations ensue and the Japanese withdraw. Revolutionary change is symbolized that evening by people removing the blackout screens on street lamps, giving a bright glow to the city for the first time in years.